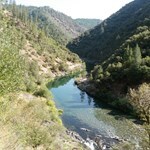 Nestled in rocky basin along side steep canyon walls, this 40-mile Feather River tributary is known for its great beauty and abundant trout. 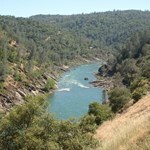 By car, it a short drive from Sacramento. 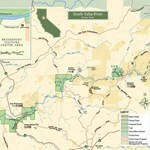 The Yuba River continues through the canyons until it flattens around Parks Bar Bridge then runs parallel to highway. 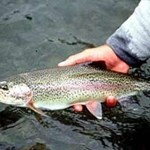 The Newba has been fishing fair to good with plenty of fish to go around. We are seeing a good number of fish coming up and eating dries and hoppers, and the indicator rig has been ... moresuper consistent for numbers, but not needed. The usual dries and nymphs have been working as well as the Pink Fat Albert, which is like candy for these trout and hopper droppers/dry droppers are producing as well. 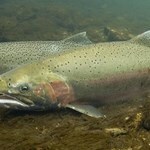 The salmon are very slow to show here, and we are hoping that we start seeing some in the next few weeks. 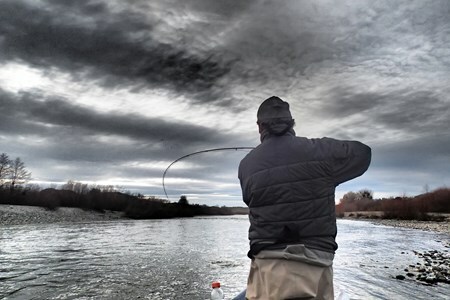 If you are looking to get out and not travel, give the Newba a try, but wade carefully, at 2600cfs its extremely pushy, and wading across is not going to happen. If you know the access points and where the fish hold (they havent moved around to much), you will come out with some nice fish to hand. Oh if you like to swing, definitely give that a go, they have been hammering swung flies. The Yuba is slowly coming back into shape, and is getting better every time I float it. 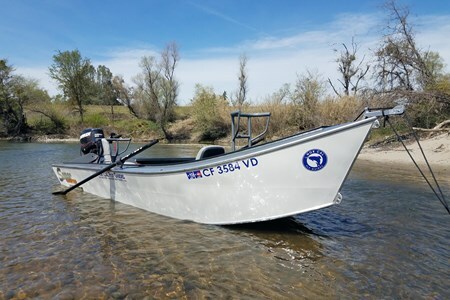 As I have stated in past reports its the Newba and will take some anglers a bit of time to get ... moreused to how it looks, fishes and feels, but in due time, she will give it up. Not a lot of bug activity right now, but tell that to the fish. We are getting fish all throughout the water column, from on top to dredging deep, seems like the fish know what they want, "A well placed and drifter fly". My last trip on it we floated only a few (2) hours with clients and ended up hooking 6 fish, one being a 20" toad, but came unbottoned at the boat. 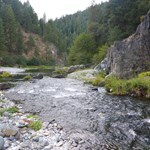 When the flows get lower, this will be one sweet river. Until then, wade carefully as the river has changed a ton, and its not as shallow as before. 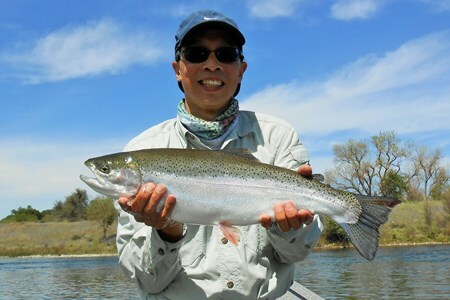 With fall looming just around the corner if you are looking to book the "Egg Bite" on the Yuba, look to book sooner than later. 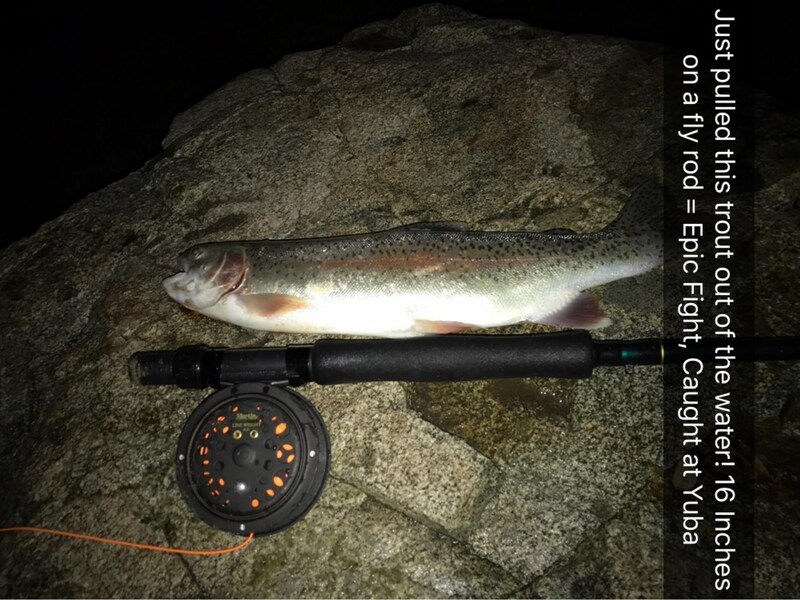 Nymphing is the main game, but throwing big bugs and swinging has produced a few fish as well. 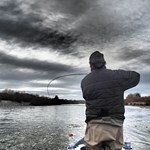 The river is still a bit high to fish effectively. 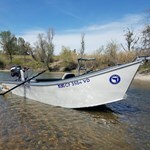 Once the flows come down to reasonable levels, look for this place to start fishing really well. 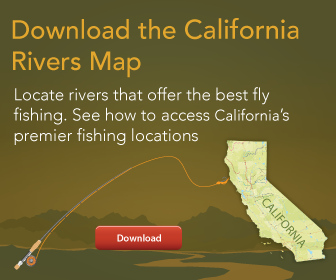 But if you cant travel and want ... moreto get a few hours of fishing in, try fishing the edges with stones, caddis and mays and you should pick up a few fish. But be careful, flows are really high and I do not recommend wading. Id give this place about a month, and it should be ready for the taking. 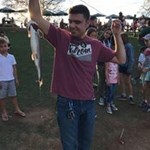 I went fishing at Bridgeport this evening (4-13-17) around 6:30 pm using an 8 foot 5 weight fly rod. 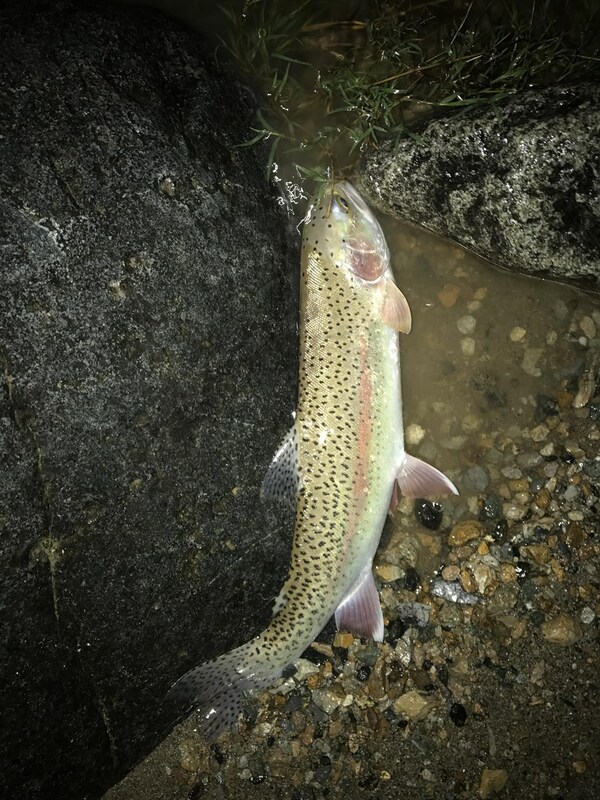 I wasn't really expecting to catch anything as this was only my second time fly fishing and the big storm had muddied the water quite a bit. 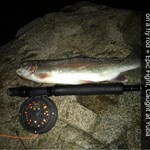 However, at around 8:15 pm I landed a very nice rainbow trout. It was about 14 inches from head to tail. 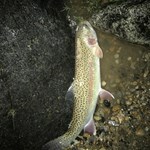 I used a size 16 Hares Ear Nymph and hooked the trout ... more about 10 yards out from the shore.